On Monday, February 23, a sixth-grade teacher at Memminger Elementary School in Charleston, SC turned herself in to the County Sheriff’s Office after an investigation on Friday revealed the presence of marijuana at her home. Faith Jones-Paulus turned herself in this morning; her husband, Christopher Andrew Paulus, was arrested on Friday. The incident began when investigators with the Charleston County Metro Major Case Unit were watching the home where the Paulus’s live on Friday. According to an ABC News article, deputies witnessed a white male going toward the back of the house; as they attempted to talk to him, he allegedly threw a 9mm firearm to the ground. The man was identified as Paulus, who then asked investigators if he could go into the house to get water and secure his dogs. Deputies went with Paulus, and noticed an odor of marijuana in the house. Paulus allegedly admitted that marijuana was in the home. While investigating the house, deputies discovered an electric bill that had the name of Faith Jones-Paulus on it. They also discovered 451 grams of marijuana in one bedroom, and 6.2 pounds in another. While news reports do not say, it appears that Faith Jones-Paulus was not at home at the time investigators went through the house. Christopher Paulus was charged with several marijuana offenses, including second offense trafficking and possession of marijuana with intent to distribute. He was also charged with possession of marijuana in the proximity of a school. Upon turning herself in Monday morning, Faith Jones-Paulus was charged with possession with the intent to distribute marijuana, and possession of a controlled substance with the intent to distribute within the proximity of a school. Possession of marijuana within close proximity of a school is extremely serious, however possession with intent to distribute/deliver charges are even more serious. 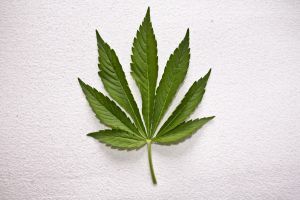 In the state of Michigan, those who are convicted of possession of marijuana with intent will face serious criminal penalties, depending on the amount of pot involved, criminal history, and other factors. Possession of less than 5 kilograms of cannabis can result in fines of up to $20,000, along with up to four years in prison. In amounts of more than 45 kilograms, defendants may face up to 15 years in prison along with fines of as much as $10 million. Anyone who has been arrested or charged with marijuana possession or possession with intent to distribute/deliver should consult with a highly skilled Michigan drug crimes attorney immediately. Your legal rights must be protected; your lawyer will work to determine the best legal approach, working vigorously to keep you out of jail/prison and to have charges dismissed or secure an acquittal when possible.